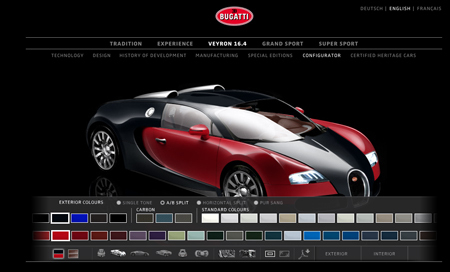 Bugatti launched a online configurator for their Veyron model. Customize the vehicle both exterior and interior with every color imaginable. The website also allows you to view the finished product in every angle. Click here to start making your own Bugatti which will cost you an estimated $2 million.